Notepad++ is a very popular source code editor for Windows. Although Notepad++ for Linux isn’t available officially, you can still run Notepad on your Linux distribution with the help of Wine. In case you do not know – Wine is an application which lets you run Windows apps on Linux distributions by making them compatible with the Linux system. It is interesting to note that Wine is not an Emulator. But, don’t worry. We will not be mentioning a never-ending set of steps in order to setup Wine and then install Notepad++ on Linux, instead, you just have to install Notepad++ without worrying about how Wine comes embedded with it and you do not have to set it up separately. Just a single step to get Notepad++ on Linux. Is that good enough? In addition to that, we will also be mentioning some of the key features of Notepad++ – for which it is famous. And, to spice it up, we will add the best Notepad++ alternatives for Linux that you can have installed on your Linux machine. 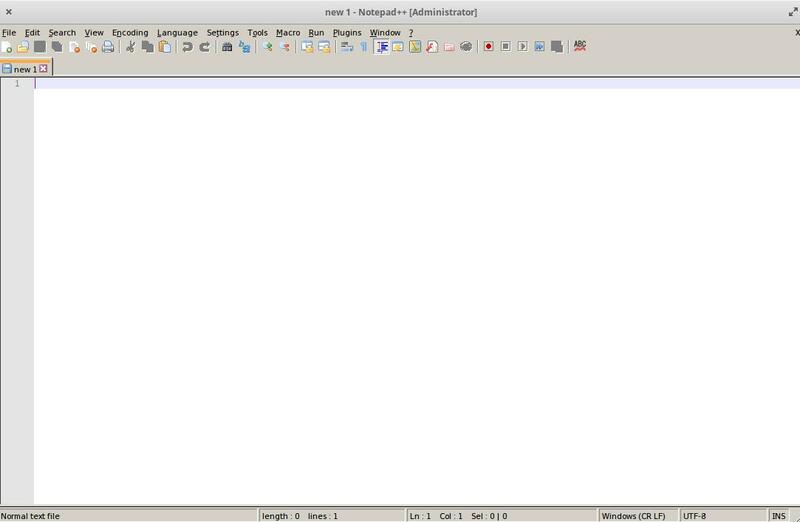 How to get Notepad++ on Linux? How to install Notepadqq on Linux? How to install Geany on Linux? How to install Atom on Linux? How to install Sublime Text on Linux? How to install Lime Text on Linux? As mentioned, Notepad++ is not natively available for Linux. But, here, we are trying to run the official Notepad++ using Wine (making it compatible with Linux and then using it). For Ubuntu, it is available as a Snap package for Linux distributions. If you have Ubuntu installed, you just need to search for it on your software center and get it installed. Note: The snap installation could take longer than expected. If it’s stuck, simply minimize the window or close it and track the status by entering: snap changes – if it is in progress, you will see the status as “Doing” and if it is complete, you will observe a “Done” status. Customizable UI – For me, the User Experience matters a lot and to be able to customize it according to your personal preference is one of the best things about Notepad++. Also, by default, the user interface is good enough. 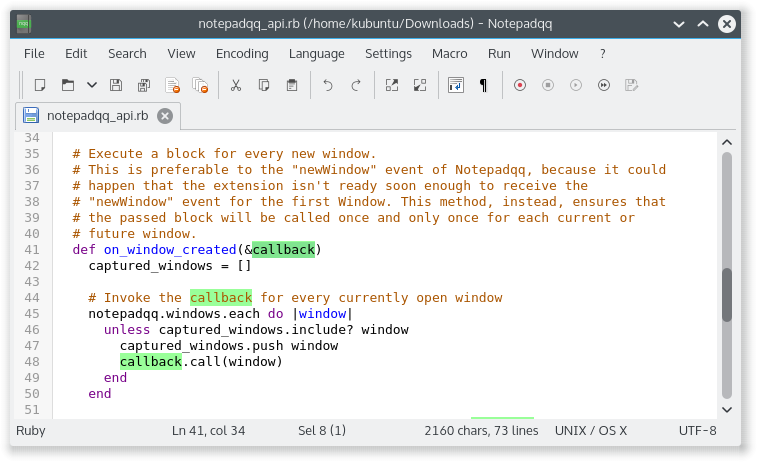 Notepadqq is a Notepad++ clone which natively runs on Linux – which can prove to be a better solution than running a Notepad++ using Wine with certain limitations (you won’t get the same experience unless it is natively tailored for Linux). And, Notepadqq is the popular choice for such kind of users who prefer native Linux apps. It is also a free and open-source editor. Similar to Notepad-plus-plus, you will find it to be user-friendly with an amazing UI. Expect it to run as fast as you’d want a great code editor to perform. 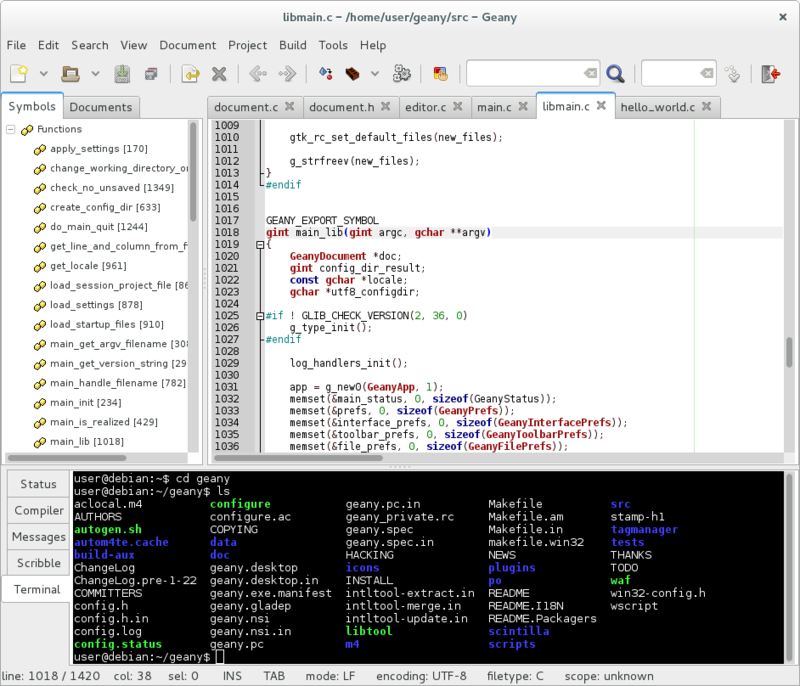 Geany is a fully-featured text editor for Linux with a basic user interface. It isn’t meant to be the best code editor out there – but if you want something dead simple and yet a fast IDE, Geany will do. You can even utilize it to make notes. To know about other installation options, you should check out their GitHub page. 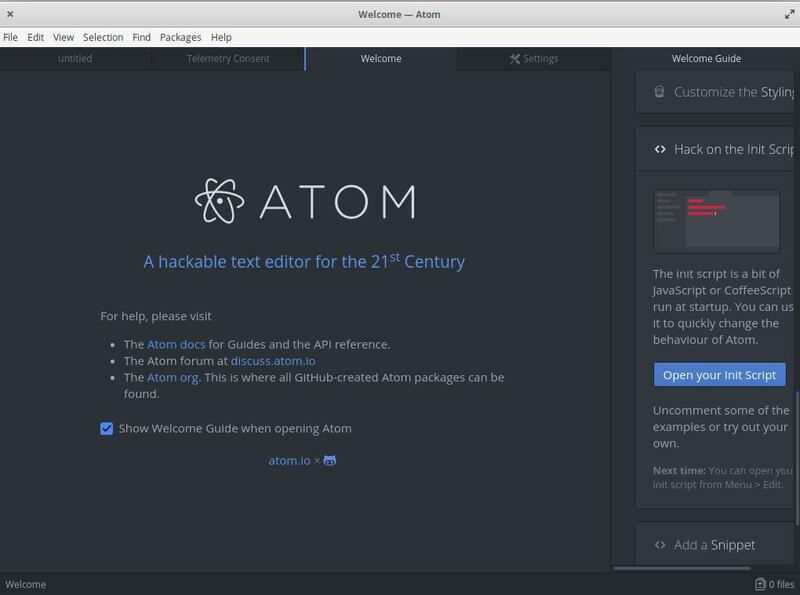 Atom is a free and open-source text editor available across all the platforms (Windows, Mac, and Linux) developed by GitHub itself. Personally, it is my favorite – in terms of the functionality and the UI. You get to choose from a lot of open source packages to extend Atom’s functionality as you use it. Also, it is very easy to customize the user interface of Atom with a different theme. It’s Git integration and GitHub integration is a plus point for users comfortable with it. If you do not want to setup Flatpak, then you should download the .deb file and install Atom from its official website. Sublime is one of the most interesting and popular text editors for Linux users. Interesting – because it is not an open source project, unlike others. But, it is free to use Linux text editor. Although, for continued use (when the free version enforces restrictions in the near future – it is not certain) you will have to purchase a license to use it. 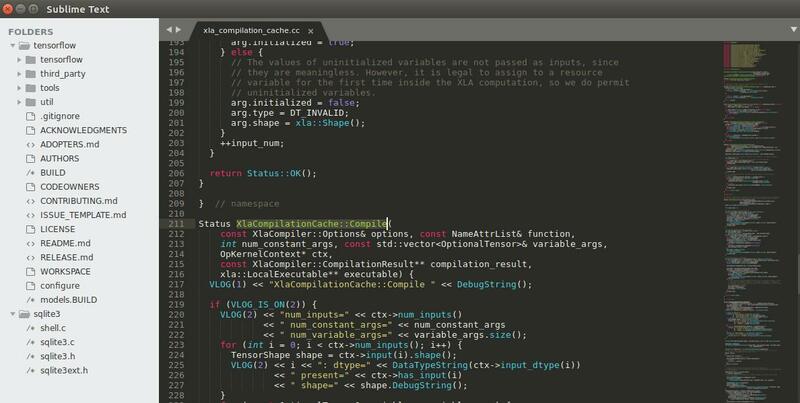 Sublime Text is almost everyone’s favorite in the Linux community even when it’s not an open source application. 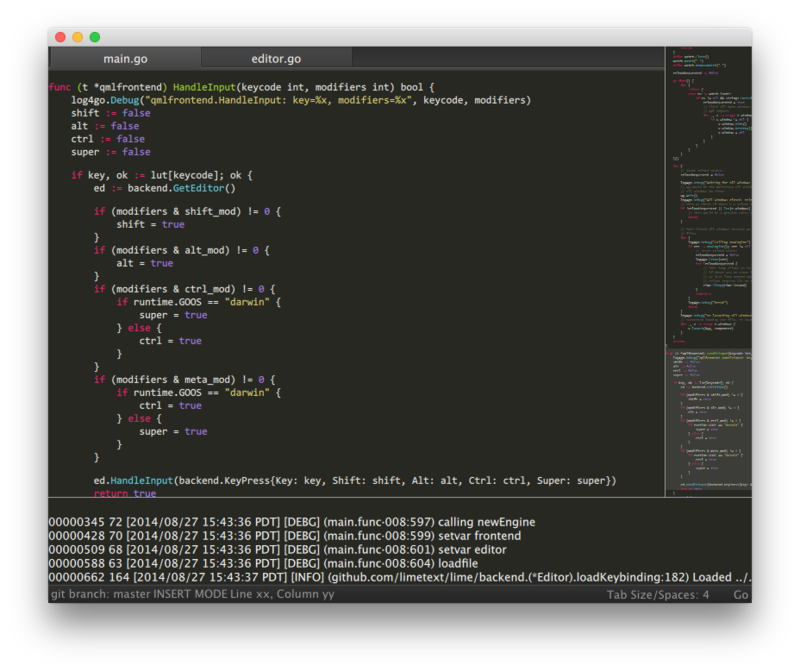 Sublime Text isn’t an open source project. Hence, you will not find it in the official repositories. You will have to follow a set of steps which you can find it on Sublime Text’s official installation guide for Linux. Hate non-open source projects? Fret not, Lime Text is a clone of Sublime Text. Unfortunately, there has been no interesting active developments on this project – so you will have to use it as is – without expecting any quick bug fixes or features to be added. But, even if it isn’t actively maintained, it runs just fine. It is a good open source Notepad++ alternative for Linux worth considering. There’s no easy way to install it as of now. So, you will have to build from its source by referring to the source code on its GitHub page. In addition to the text or code editors mentioned above, there are few other worthy Notepad++ alternatives that you would want to take a look at. I’ll recommend taking a look at Bracket (developed by Adobe) as an honorable mention – I’m not so sure about the others – they aren’t bad but not good either. What do you think? Will you prefer to choose as an alternative to Notepad++? Or would you go with Notepad++ running on Wine? Did we miss any of your favorite text editors? How to Get Google Drive on Linux? Works great but the window menu text in notepad++ is really reall small compared to code text and icons. How to change this?